I should start at the beginning but I won’t. The end defines it all. 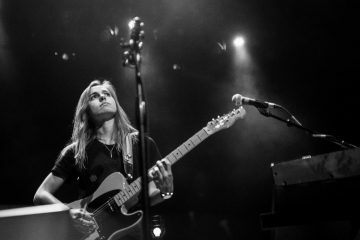 Without a mic, Julien Baker, joined by her openers Petal and Half Waif, sang “with the audience, not at the audience,” as she describes it. The Somerville Theater reverberated with the words of “Good News” off of Baker’s first record, Sprained Ankle. That’s what’s special about Baker fans: they’re loyal and along for the ride with her, as the songs bear such vulnerability and strength all at once. 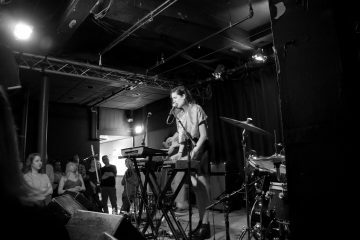 The soft sounds of Petal (Kiley Lotz) and the hard-hitting, emotional pop of Half Waif (Nandi Rose Plunkett) opened the show on Saturday at Boston’s Somerville Theatre. Baker walked on stage, launching into “Appointments,” the single off her newest record. She built intricate guitar loops in front of the audience, making it look effortless and natural. One thing that really struck me from the beginning about both the guitar tone and her voice is how much she’s grown since I last saw her at Outside Lands 2016. She had the star power before, but now her sound seemed more complete and whole in its tone. After a couple songs from the new record Turn Out The Lights, which just came out this past Friday, October 27, Baker went into the title track off her beloved debut album and the audience went wild. What was incomparable about this crowd was the juxtaposition between their unwavering attention and support for Baker during the dead quiet of the songs, and the hooting-and-hollering claps and screams when she finished a tune. Often at quieter, folk shows, the applause is tame, controlled, but Baker fans act otherwise. They cheer her on as loud as sports games or rock shows. It’s their way of showing that they’re present, hearing her out, as the songs demand such an engaged listener. 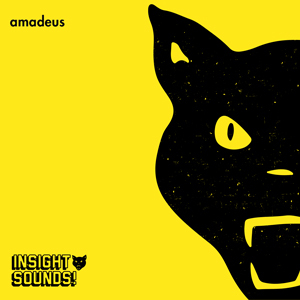 It seems easy for touring artists to fall into the repetitive pattern of their songs, detaching the emotion they felt writing it once they’re playing the tunes over and over again. This is not the case with Julien Baker. She has this ability to make you feel what she was feeling when she first thought of these words, this guitar part, this melody. I don’t know when emotion got taken out of a lot of music of this era, but Baker is a good reminder of how songwriting is an incredibly vulnerable experience that takes power to be shared. It’s easy to forget that songs themselves are many musicians’ ways to cope, shown beautifully and consistently through Baker’s set. 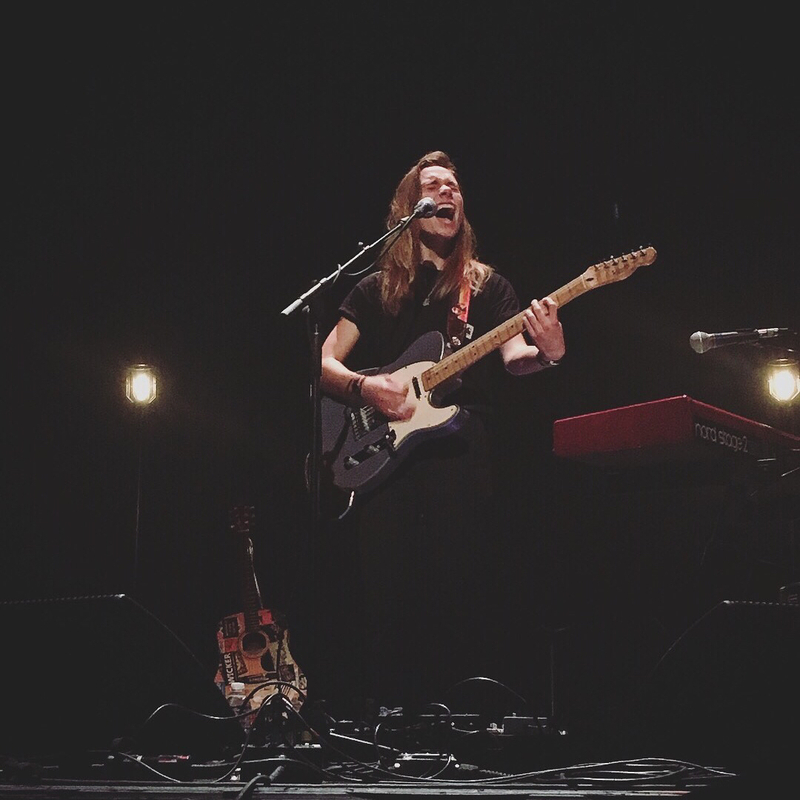 For more from Julien Baker follow her on Instagram and listen to her debut album here.